I was working and on hold for a web project, so I goofed around while on hold and used this image to create a quick chart. I sort of liked it, so here it is. 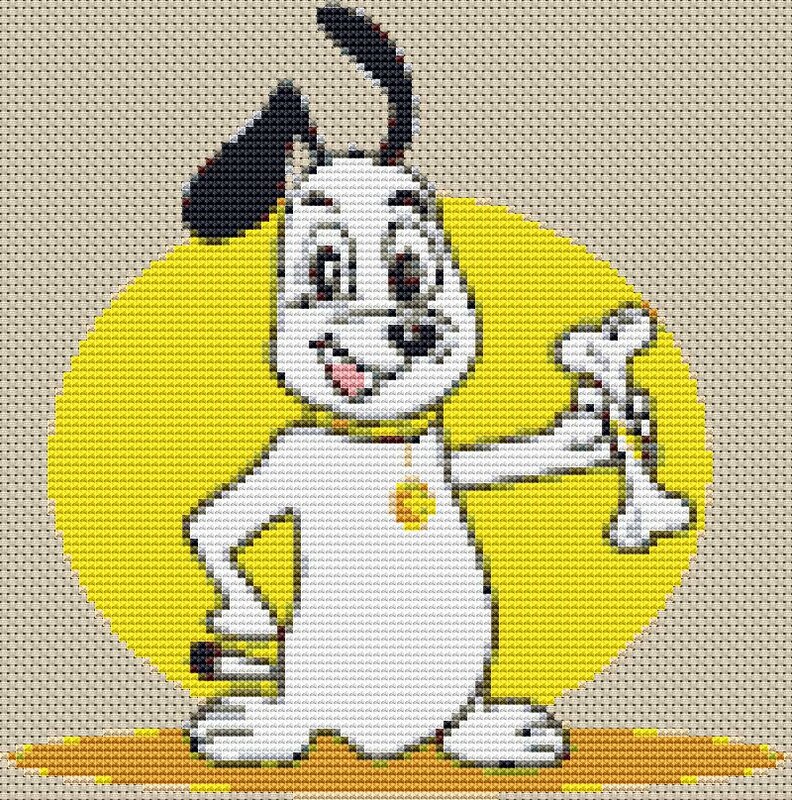 This is 100×101 stitches and 16 colors. It has the background removed, so you just stitch the dog and sunset behind it. It will be an easy quick stitched project… enjoy. This would be great on a shirt, it’s so easy… your child will love it.